Richard T. Prins heads Skadden’s Investment Management Group, which includes the firm’s investment advisory, investment company and broker-dealer practices; our merger and acquisition and corporate finance practices in those industries in conjunction with other practice groups; and the development of new investment products in conjunction with other practice groups. Mr. Prins actively participates in each of these areas and also handles a wide variety of general securities and corporate matters. 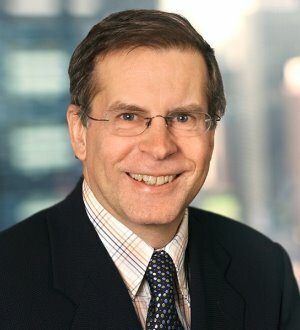 In the investment advisory and investment companies area, Mr. Prins has represented several prominent U.S. investment company complexes and investment banking firms in the development and offering of new investment products, including tax deductible preferred stock, the target term trust, guaranteed equity funds, structured fund products and a variety of institutional debt and equity products, including structured regulatory capital instruments. He also has counseled numerous investment advisers, investment companies, business development companies, and broker-dealers in regulatory matters and registered and unregistered fund offerings. Among the clients Mr. Prins has represented in these areas are BlackRock, Gamco Asset Investors, Tennenbaum Capital Partners, Apollo Investment Corporation, Prospect Capital Corporation, Third Avenue Management and Tweedy Browne. Mr. Prins has represented clients in a number of significant financial institution acquisitions and joint ventures over the past several years, including: BlackRock in its acquisitions of the Barclays Global Investors business from Barclays and the Merrill Lynch Investment Management business from Merrill Lynch; Citigroup in the sale of most of its asset management businesses to Legg Mason; the Marsico management team in its leveraged buyback from Bank of America; Nicholas-Applegate Capital Management in its sale to Allianz; Private Capital Management in its restructuring and sale to Legg Mason; and Tweedy Browne and Third Avenue Management in their sales to Affiliated Managers Group. Mr. Prins also advised BlackRock, Inc. and Gamco Asset Investors in their initial public offerings and Gamco in various subsequent corporate financings. In addition, he regularly represents issuers and investment banking firms in a variety of U.S. and international public and private financings. Mr. Prins has been selected for inclusion in Chambers USA: America’s Leading Lawyers for Business, The Best Lawyers in America and Euromoney’s Guide to the World’s Leading Banking Lawyers.